Posts categorized "Thinking about Joining? 7 Tips"
Are you considering becoming a Stampin' Up demonstrator or a consultant for some other home party company? I've compiled a list of seven tips I wish I'd known when I signed up. It was my first foray into the world of direct sales, and I had NO clue about some of the things that might have helped me out when my eye caught that Starter Kit page. Whenever you approach the opportunity of Stampin' Up or any home business company, I hope you'll find these tips useful. Feel free to leave a comment with your own story or tips you have to share, too! Go with a company whose products you adore. There are many great companies out there, but unless you are passionate about the products, you won't stick with it long term. I like Pampered Chef and Partylite and many other home party companies, but I'm not passionate about them. I AM passionate about creating with my hands. I know it's a life-long thing with me. I was never even slightly tempted by a company before Stampin' Up. If you can't quit thinking about it--time to start working towards it. Ask a lot of questions. I know sometimes it's so overwhelming that you don't even know where to start. Grab a little notepad and write down anything you can think of, or start a draft email. It will help you remember things you wondered about when your mind goes blank. Ask a friend who is already in direct sales what she wishes she'd asked upfront. I didn't ask anything except "Where do I sign?!" and "How long do I have to wait to get my kit?" Listen not only to the answers you're getting, but also the attitude and demeanor of the consultant giving them. It will tell you a lot about how she/he will be as your upline and mentor. Are they enthusiastic and positive? Did they respond promptly? Did they flesh out the answers with more info you might not have thought to ask about? This one step could save you a lot of hassle down the road. Realize all that glitters is not gold. Sometimes people talk a good game, but once you're in, their helpful assistance disappears. Do a little research on your own. Check out their blog and Facebook page and any other social media sites you can find them on. Are they consistently working their business, or do they disappear for weeks or months at a time? Do they have a social media presence? It's hard for people to train you on something they don't do themselves. Don't feel pressured. While direct sales can get a bad rap for being pushy, it's really the exception rather than the rule. We're only human--sometimes we come on too strong, and other times we don't follow up as well as we should. If you're as nutso about crafting as we are, you'll feel right at home. On the other hand-- you're the only judge of what constitutes pressure. If you feel uncomfortable, don't hesitate to distance yourself. This needs to be about the company and timing that's right for you, not them. Don't look for the best offer; look for the best fit. Most newbies to direct sales don't realize that heaping product on top of the Starter Kit can violate the guidelines of the Direct Selling Association (DSA) or their own company policies. It can be tempting to "shop around" for someone who is advertising an outrageously great deal. But--do you want to be mentored by someone who is unethically and unsustainably growing their team? No way! If "no one else out there" is offering that fantastic deal--there might be a reason why. I know I said seven tips--but here's a freebie for you! If you're now OVERLY concerned about chosing the perfect team to join--don't be! Direct sales is a super fun and profitable adventure, and many of us who threw ourselves willy-nilly at the first demonstrator we came into contact with are totally happy and doing great. Most of us are lifelong friends, even after life-changes mean one or the other of us has to move on or slow down. Friends we never would have met, otherwise! If you are already a demonstrator or thinking about being one, you might enjoy peeking at my direct sales motivation and inspiration blog, a library of articles I've written on the subject. 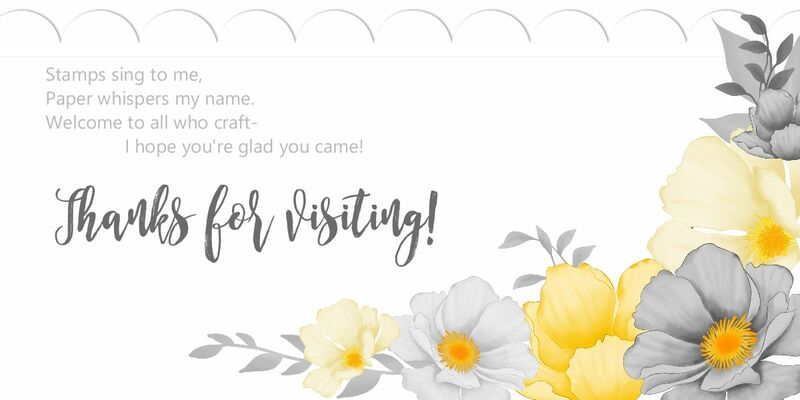 It's one of the best resources I have to offer my team, and I feel so strongly about Stampin' Up and the success of my stampin' sisters that I've chosen to offer it free of charge to everyone. Happy browsing! Naturally, I hope you sign with me, but whatever company and demonstrator you choose to sign up with, at whatever point in your life that all the stars converge and it's the right time for you and your family--I wish you the very, very best of luck in your new adventure!